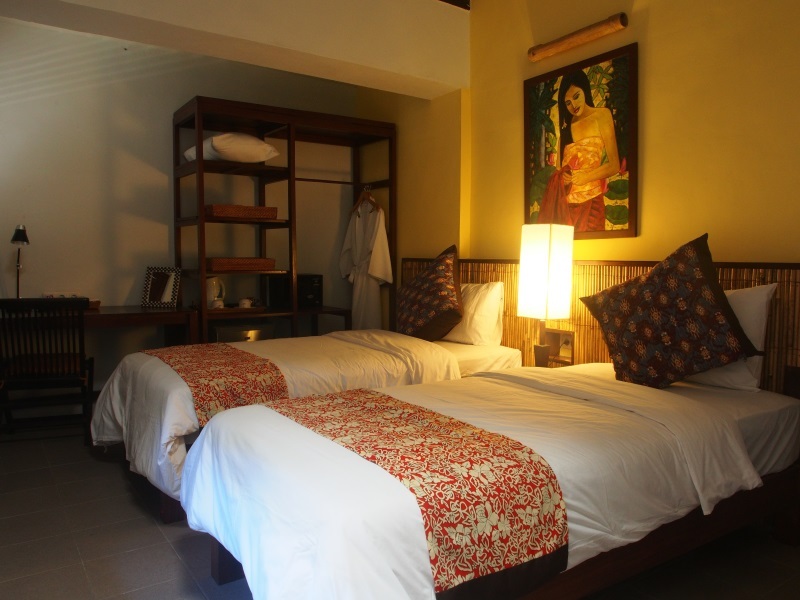 Cocotinos Lembeh is a boutique hotel specially designed with divers and underwater photographers in mind. The facilities are fantastic with well equipped, modern dive boats and some very special gear for underwater photographers. 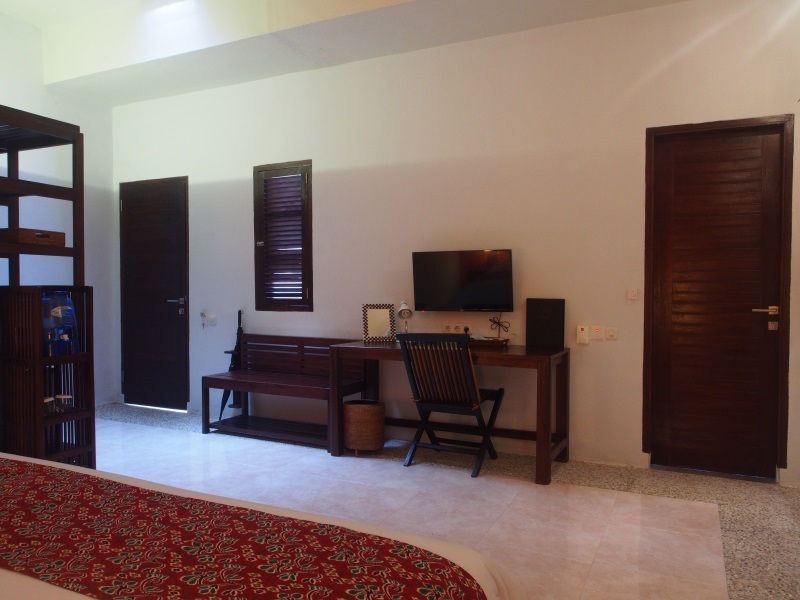 The focus on comfort and great facilities extends to the resort itself which is small and beautiful with a real feeling of warmth and hospitality from the staff. The delicious food and 12-meter freshwater infinity pool make the perfect end to a long, happy day spent underwater. 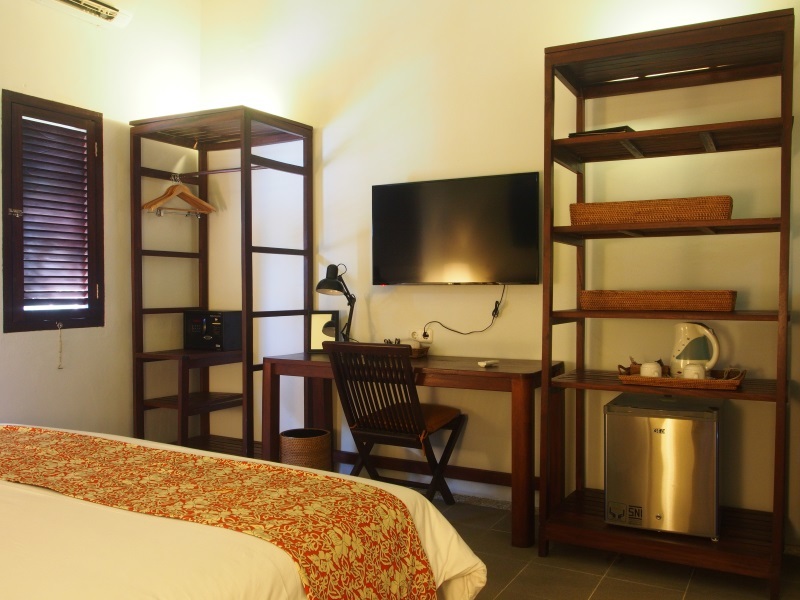 The resort consists of beautiful original Indonesian style houses that were renovated into a hotel and are a lovely example of traditional local buildings. 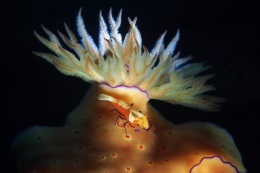 Cocotinos Lembeh are well aware of the enviable position they are in, right in the heart of one of the best macro photography spots in the world. Underwater photographers come here in droves and Cocotinos is well equipped to keep everything ticking along. A separate camera room with workspace and charging ports, air drying hoses and lockable cabinets is provided. The guides are also keen photographers and always happy to give hints and tips to get the best shots of the local wildlife. The resort can also provide nitrox if you want to stay down with the beautiful critters for a little longer. 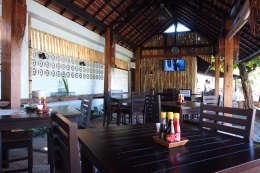 As a resort focussed on diving, the bar and restaurant are hubs for diving chat. Meals are sociable and buffet style with the option of a la carte if you prefer. In the evening, this is a great spot to relax with a cold drink or cocktail, they are usually well stocked with fresh coconuts. 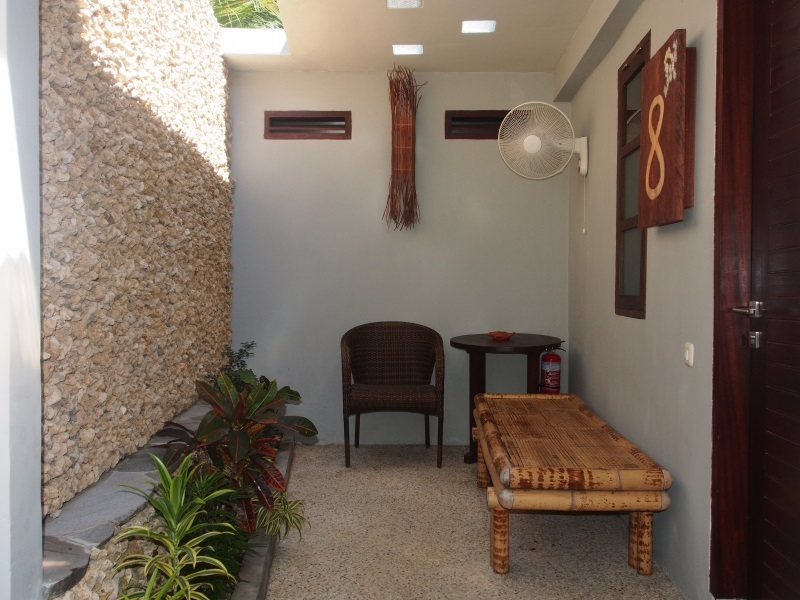 This is also where you can get tea and coffee and free Wi-Fi to keep in touch with friends and family back home. There are also bar fridges in the rooms if you prefer to enjoy an evening on your private terrace. 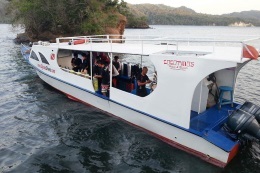 The meals include fresh local dishes to give you a taste of Indonesian cooking with generous portions for hungry divers. The resort chefs are always happy to cater for dietary requirements just let them know in advance and they will prepare something special. Snacks, juice and water are also provided in between dives to keep you going during the day. Close to the restaurant, by the pool, there are a set of comfy loungers on the beautifully paved patio. 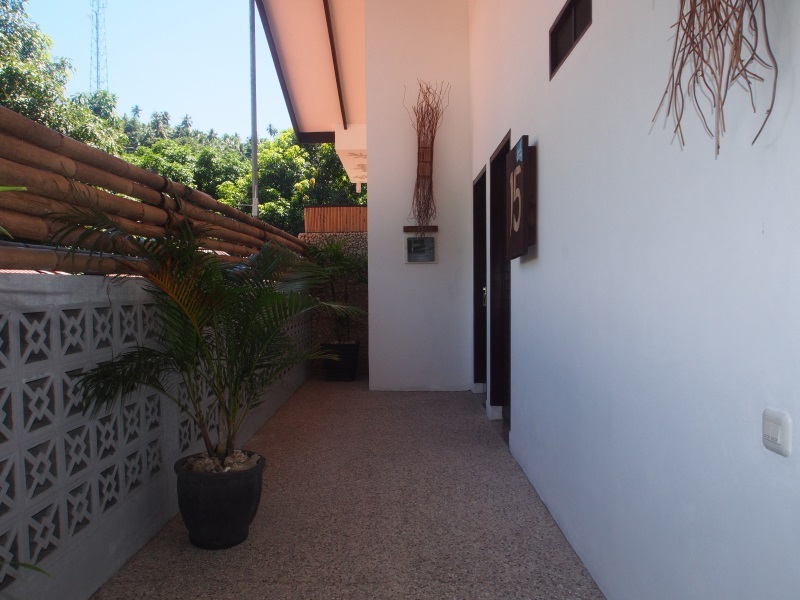 These are perfect for watching the sun set over the sea and nearby limestone hills. 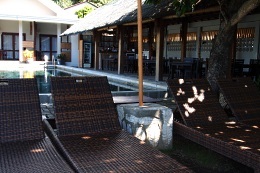 If you need to cool down on a hot day, the swimming pool is right in front of the restaurant so no need to go far. 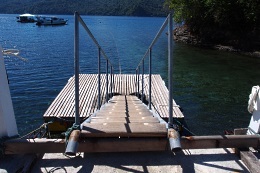 The pool is freshwater, great for swimming and any dive training you want to do while you are there. For non-divers, there are several land-based tours available including hiking in Tangkoko National park to look for Tarsiers, Cuscus Bears and hundreds of species of birds. 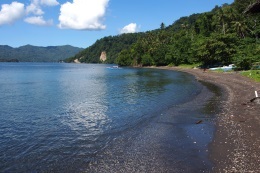 Cocotinos Lembeh sits in the heart of the Lembeh Strait one of the most biodiverse areas in Indonesia. Considering how much local resorts depend on the natural beauty of the area it should come as no surprise that Cocotinos is heavily involved in local conservations. A large part of this is educating local schoolchildren. The resort organises beach clean-ups regularly to help encourage young local people to protect their environment. 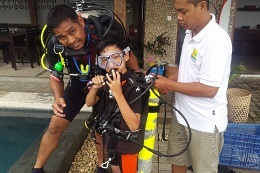 The guides at Cocotinos Lembeh are very knowledgeable about the critters and creatures they dive with every day. 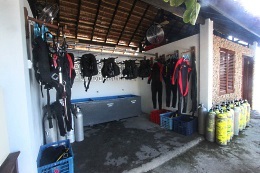 They will keep guests informed of the environment and any special rules for the dive sites. 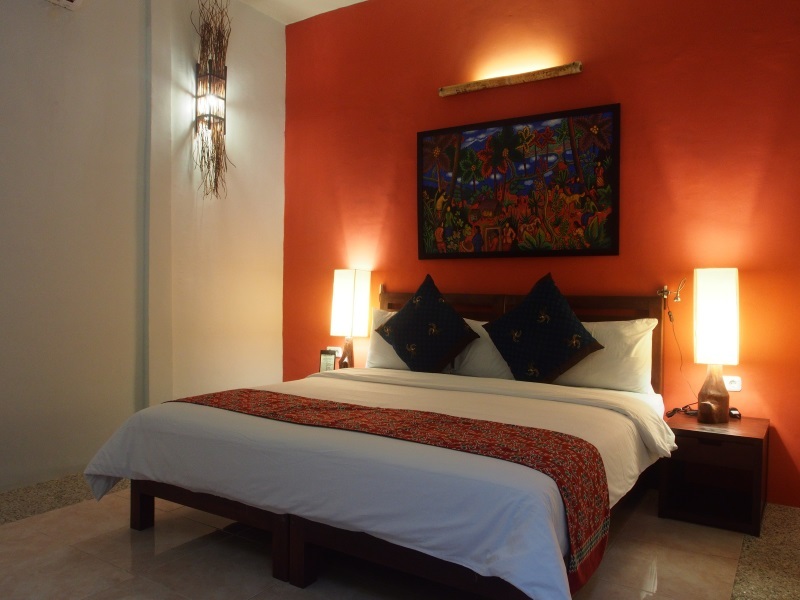 The rooms are cosy and designed with comfort and relaxation in mind. 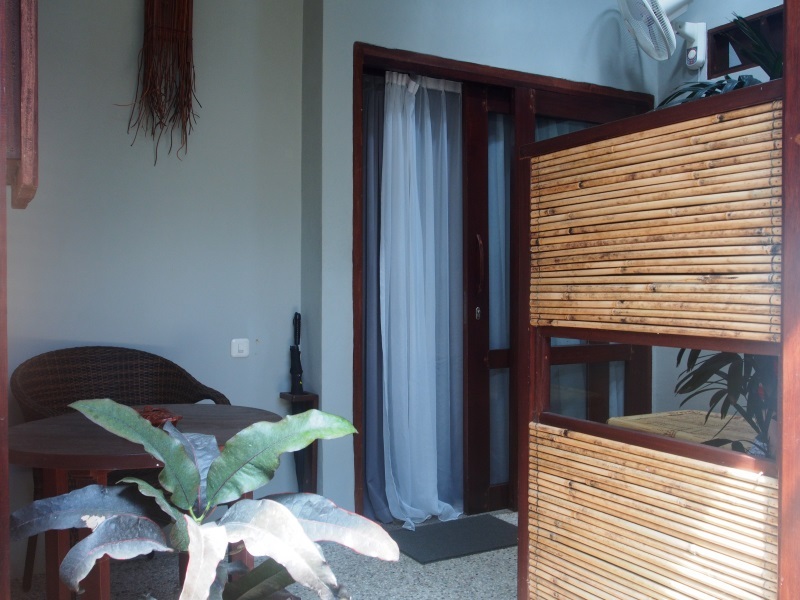 Each room is air-conditioned and has an Indonesian style open-air freshwater shower. 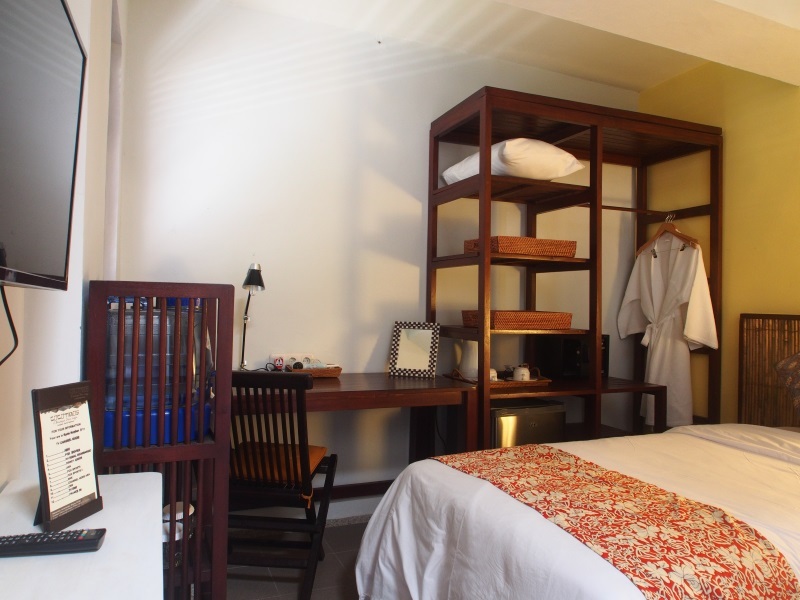 There is a range of size of rooms with the option of adding extra beds in some, in order to accommodate families and larger groups. 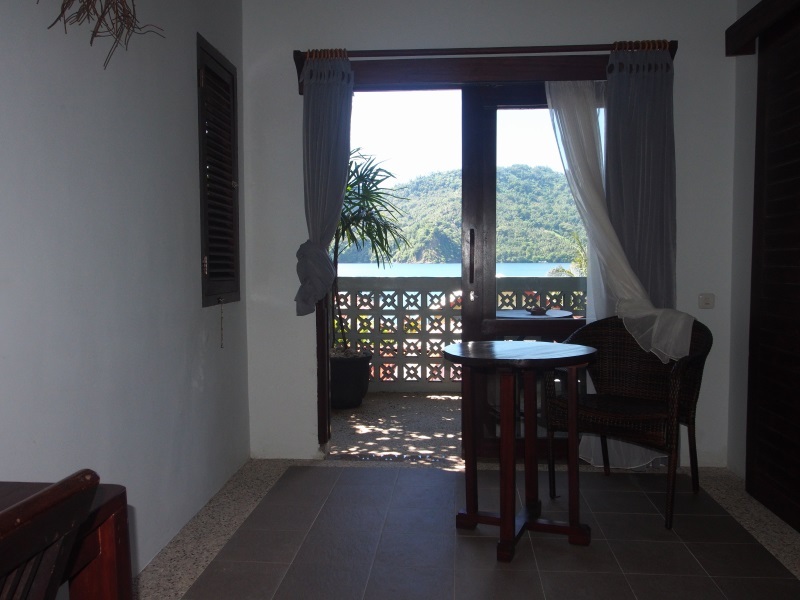 The rooms also have their own private terraces or balconies for relaxing on. WI-FI is available free of charge in the rooms in addition to the restaurant area. 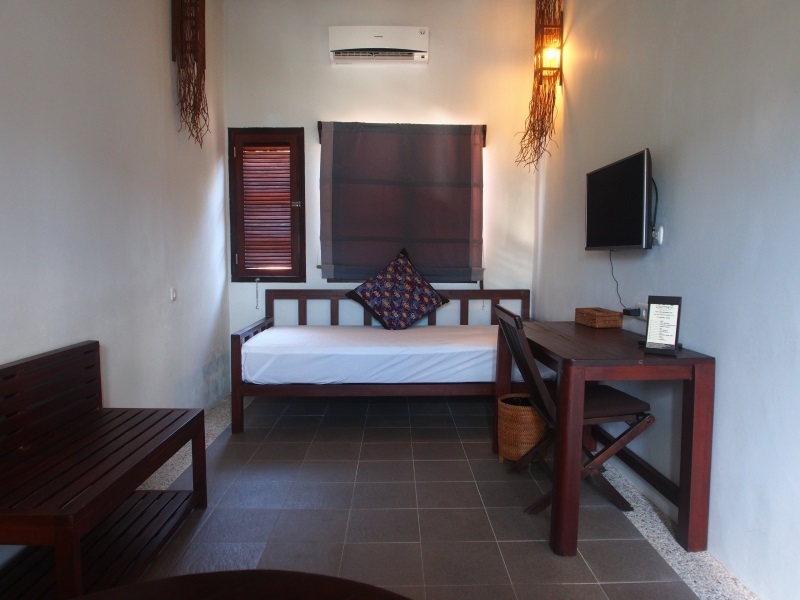 There are 4 types of rooms available at Cocotinos Lembeh: two Superior rooms, four Deluxe rooms, five Super Deluxe rooms and only one Junior Suite. 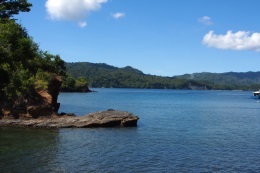 This resort brings divers to Lembeh. From $880 per diver twin share for 6 days 5 nights. 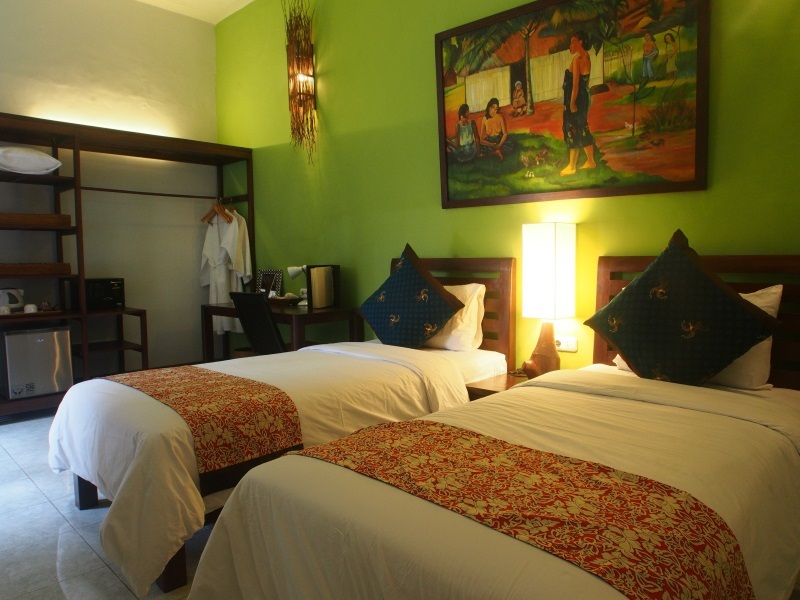 From $488 per non-diver twin share for 6 days 5 nights. 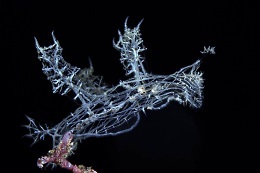 From $1,095 per diver twin share for 6 days 5 nights. 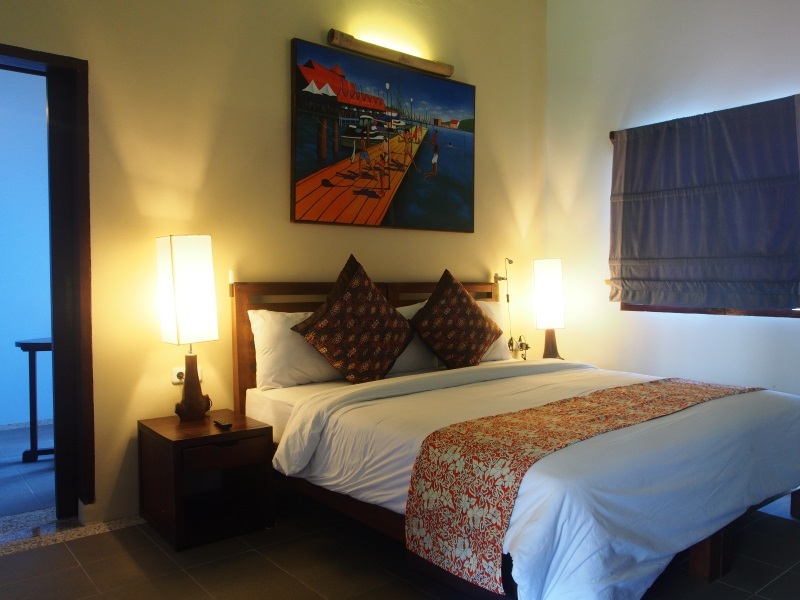 From $605 per non-diver twin share for 6 days 5 nights. From $1,200 per diver twin share for 6 days 5 nights. From $725 per non-diver twin share for 6 days 5 nights. From $1,265 per diver twin share for 6 days 5 nights. From $790 per non-diver twin share for 6 days 5 nights.